So you’ve seen the white cliffs of Dover, the Berlin wall, heck you’ve even been up the Eiffel Tower, but there are plenty of places in Europe that you’re unlikely to have heard of let alone decided you’re going to pay a visit. Inspired by the Geoguesser Competition, which drops you in various European locations, we’re going to drop ourselves there and discover some of the strangest destinations on the continent. 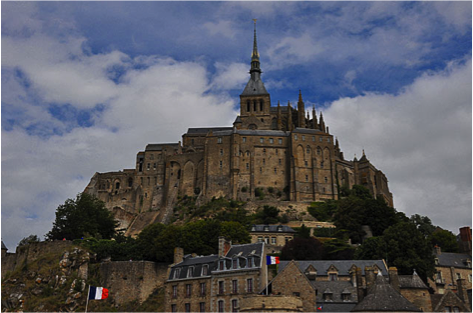 Located in Northern France, Mont Saint-Michel is an island commune that dates back to the eight century, and receives over three million visitors each year. Yet it deserves oh so many more. 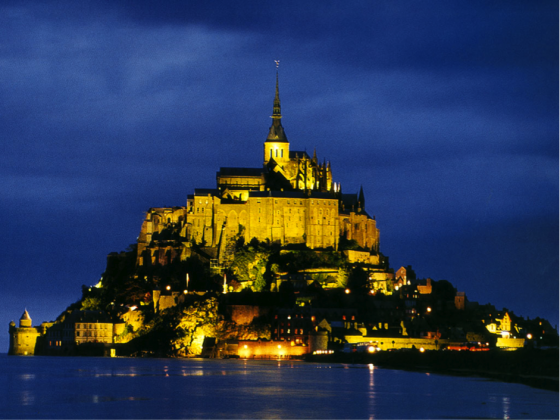 With its grand abbey, great halls, and fishermen’s village, the island is a thing of beauty and listed as a UNESCO World Heritage Site. 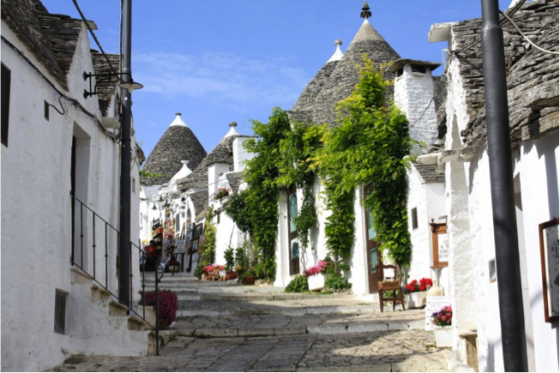 Alberobello lies on the heel of Southern Italy, and is one of the most beautiful villages in the world. Famed for its buildings with conical roves, and is generally a place to get away from tourists, despite being on the UNESCO World Heritage list. During the summer, the fairytale landscape comes alive with music hosting festivals that feature folk, jazz, classical, and pop music. 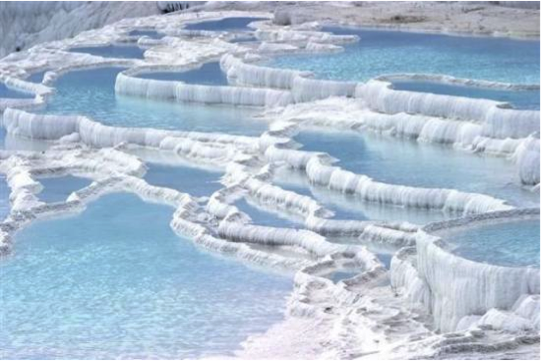 You’d be forgiven for thinking you were on another planet never mind Europe when visiting Pamukkale in Western Turkey. Pamukkale, meaning “cotton castle” is one of the most fascinating places on earth and contains a series of hot springs and travertines. The white cotton rock is made up of carbonate minerals that have gathered up over the years, giving a truly unique experience and a location that should be on everyone’s bucket list. 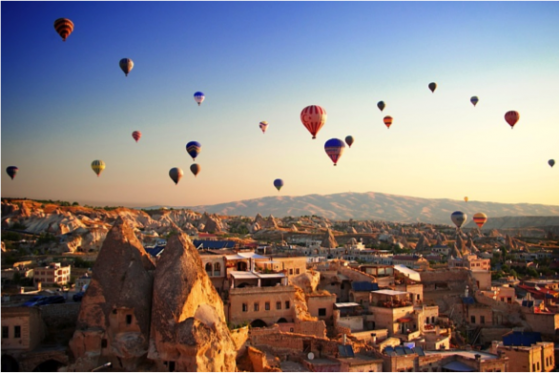 Staying in Turkey, Cappadocia to the east of Pamukkale is just as unique, offering balloon rides and cave stays in the Ancient Region of Anatolia. The earliest record of the name dates back to the 6th century BC and remains from life in the area since then are just waiting to be discovered. The fairy chimneys, rock-cut temples, and historic mansions are all big draws to tourists, whilst the magnificent hot air balloon rides will cap off an unforgettable trip. The cluster of monasteries, just outside Kalambaka, Greece, is one of the most important complexes of Eastern Orthodox monasteries in the country. Built on sandstone rock pillars, the buildings stand high on the cliff tops and a trip across to them are an exhausting, yet utterly mind-blowing journey. The area of Meteora has inspired much over the years, with Game of Thrones basing a setting on the monasteries, whilst it also welcomed Roger Moore in the 1981 film For Your Eyes Only. Although a trip to this fabulous location is likely to leave you shaken, stirred, and totally amazed.